on Erev Lag Ba'Omer, Wednesday, May 2nd @ 5:30pm. Henna Hand Drawing, Pom Pom Mobile, and more. 6:45pm - Marshmallows & Baked Potatoes on Charcoal. Donation fee: $5/child, $10/adult, $25/family. Pay at the door. All are welcome! At the main sanctuary: Drasha by CPT member Rav Dov Lerea after Torah reading, approx 10:30am; and presentation at the end of Tefila on the highlights and values of the policy, approx. 11:30am. ● Words of Torah: 11:30am. ● Talk with Keren Tsadok Orbach, @ Bet Tefila Aharon after Musaf @ 11:30am : Aḥare Mot Qədoshim - Second Lt. Erez Orbach z”l loves for music. 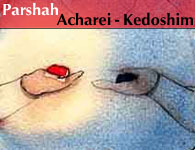 ● Kiddush: kiddush is sponsored by 1 in honor of the 1 Shabbat. ● Parsha Limud - Before Minha @ 6:30pm. Aḥare Mot Qədoshim and Rav Akiva twelve thousands pairs of students. ● After Minḥa Mila baParasha: Understanding a word in our parasha. This week: “Lag baOmer-ל”ג בעומר" - How a holiday was born and why do we eat bonefired marshmallows? Basic (and love of) Hebrew is sufficient. At the 2fl BM. And with Your Great Company. ● Dvar Torah: 11:00am - Rav Dov Lerea. ● Israel 70 Trivia Quiz with the Wachman kids and holy prize. ● Kiddush: kiddush is sponsored by so many BANners & Friends in celebration of Israel’s 70th birthday. ● Parsha Limud - Tazriya’-Mətsora’ & Israel @ 70. Answering all the questions you can ask about Israel. ● After Minḥa Mila baParasha: Understanding a word in our parasha. This week: “‘Omer - עומר" - What does the word mean; and should we say LaOmer or Baomer? Basic (and love of) Hebrew is sufficient. At the 2fl BM. ● Təfilat ‘Erev Shabbat @ 7:00pm. ● Kiddush: kiddush is sponsored the Zalicha family in memory of Judi's mother, Sara bat Hassiba z"l.
● After Tefilat Musaf: Drasha by Rabbanit Dr. Jennie Rosenfeld on “Eretz Yisrael: Between Dream and Reality.” In the main sanctuary. Co-sponsored by the Bayit, the Religious Zionists of America (RZA), Rabbi Moshe Edelman, and Nancy Stern Scholem, in honor of Israel's 70th. ● Parsha Limud - Shəmini. ● After Minḥa Mila baParasha: Understanding a word in our parasha. This week: “Nadav vaAvihu - נָדָ֨ב וַֽאֲבִיה֜וּא" - What happened and why? Basic (and love of) Hebrew is sufficient. At the 2fl BM. ● After Minḥa Daf baTalmud: Daf Yomi with Rav Dov Linzer on 3FL. Horayot. ● After Minḥa Shiur baHayim: Rabbanit Dr. Jennie Rosenfeld on “Truth, Lies, and Tradition: Altering Prayers in Light of Changing Realities.” Shiur in English at the main sanctuary.